COLUMN DESIGN: PolyStone® fiberglass composite columns with Tuscan capitals and base moldings / plinths. COLUMN MATERIAL: PolyStone® fiberglass composite. 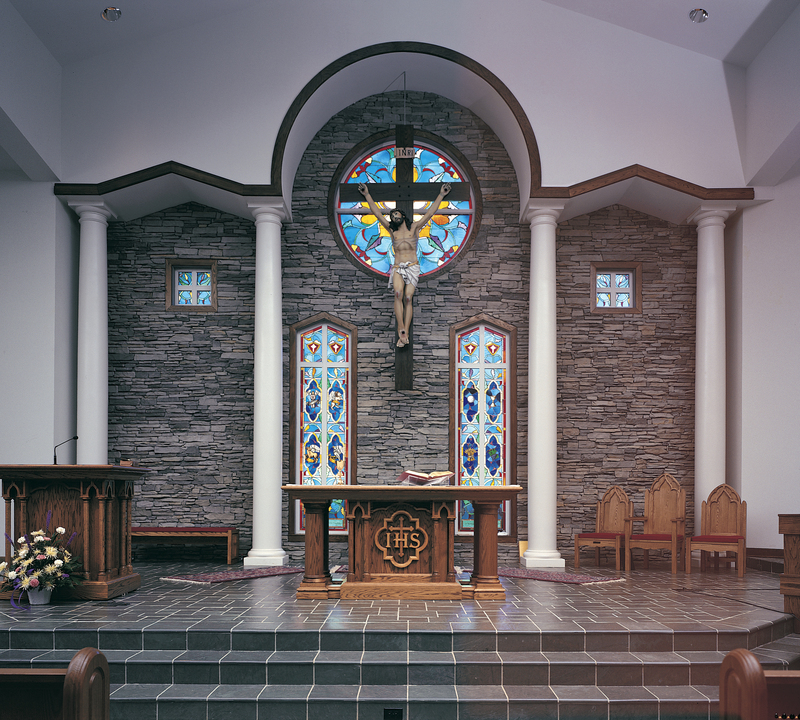 PROJECT COMMENTS: Chadsworth Columns produced one of our most recognized and highly acclaimed columns for the Holy Trinity Catholic Church. Our award-winning PolyStone® composite columns. This project featured (4) of our Design #200 columns – Tuscan, plain, round, tapered with Entasis.